Do you enjoy ordering pita bread and dipping sauce as an appetizer when eating out? You may want to make your own at home to have as a snack when preparing a meal. A great option is to make your own homemade pitas and Tzatziki sauce. 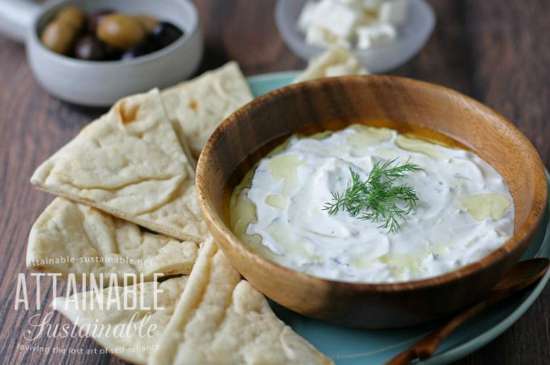 You may find the most challenging part of making homemade pitas and Tzatziki sauce is preparing the sauce. The pitas will not be difficult to make as you are simply preparing a dough. You only need a few ingredients and a mixing bowl to prepare the dough for the pitas. Homemade pitas and Tzatziki sauce will be perfect to have as a snack. This means you can prepare the dish to have during a Sunday afternoon football game. All you need to do is get the ingredients needed to make all the pitas and the sauce. You may want to have more on hand as it may not last long.